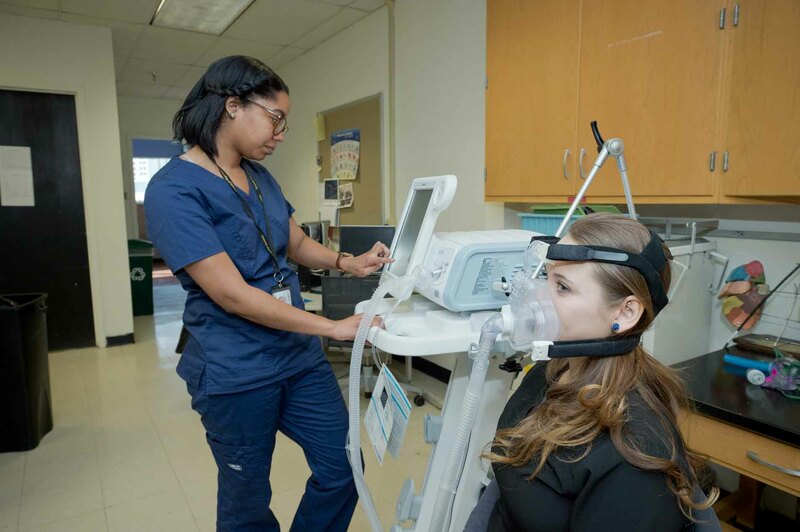 Fully accredited by the Commission for Accreditation on Respiratory Care; graduates will be able to sit for all National Board for Respiratory Care credentialing exams. 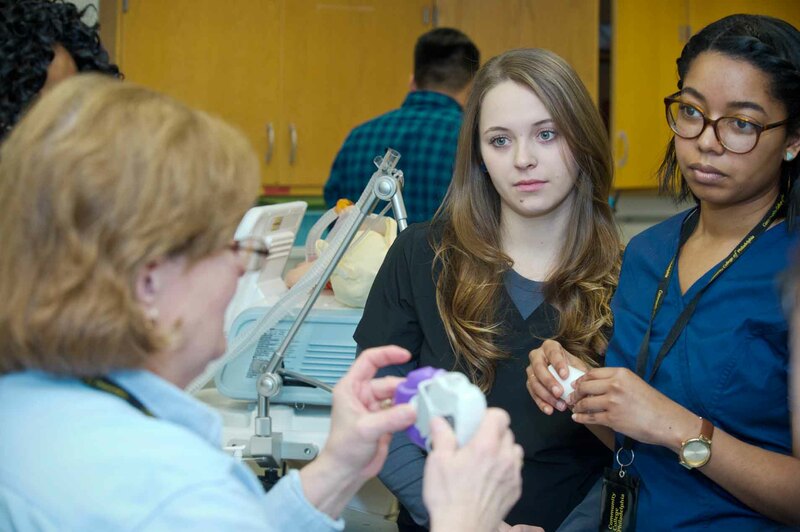 Our Respiratory Care Technology program will teach you the skills you need to become a respiratory therapist. You will learn how to assess a patient’s condition, develop an appropriate care plan, handle technical equipment, make scientific calculations, and work independently to assist physicians in diagnosing and treating patients. Our program also offers lab training, classroom study and supervised experience in hospitals and health care settings, as well as preparation to take the national board exams for licensure required to fill a job in this field. 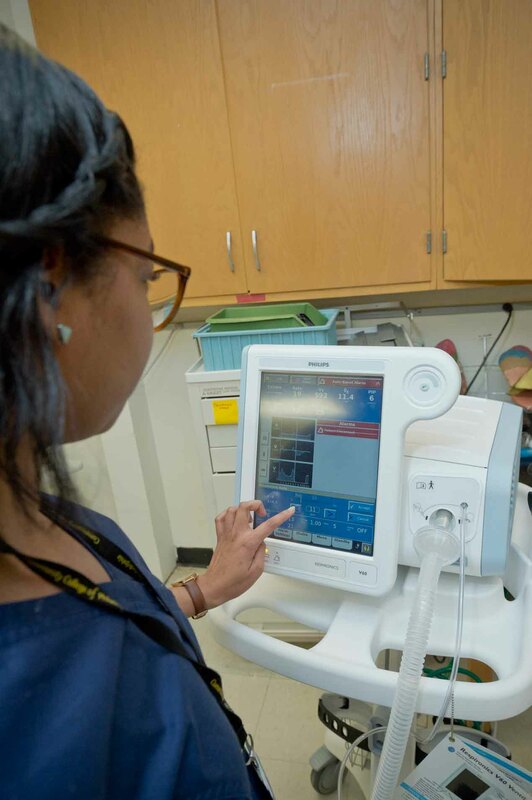 Upon completing the program, you will be eligible to take the entry-level Certified Respiratory Therapist exam, as well as additional credentials, including Registered Respiratory Therapist, Neonatal/Pediatric Specialist, Certified Pulmonary Function Technologist, and Registered Pulmonary Function Technologist. 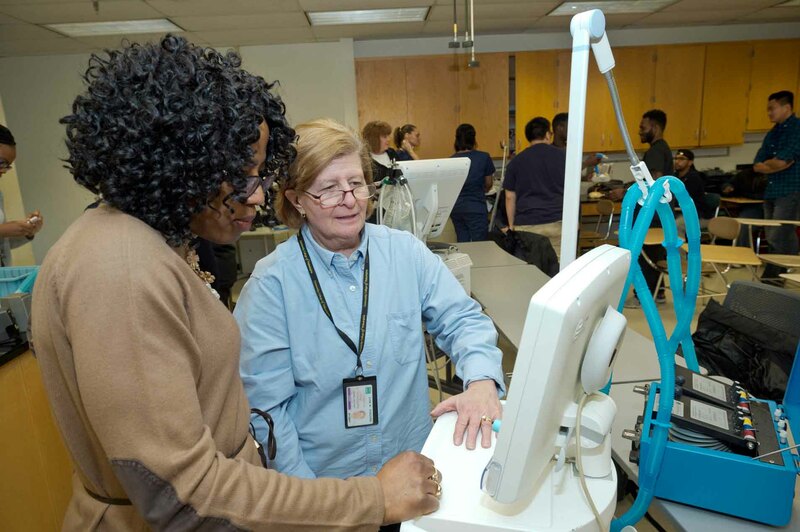 The Respiratory Care Technology program is accredited by the Committee for Accreditation of Respiratory Care. 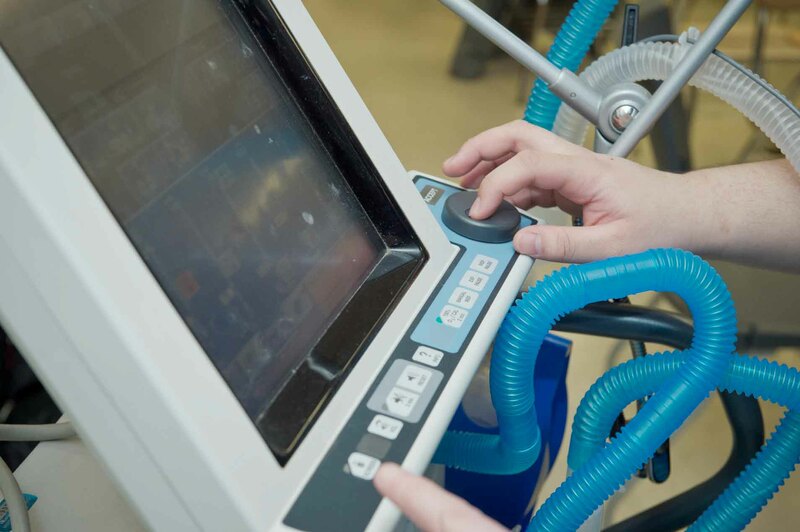 The following courses and sequence of courses is designed for the optimal success and completion of the Respiratory Care Technology degree/certificate. Any alterations should be discussed with your academic advisor. RESP 100 is a prerequisite for RESP 102. Must earn a grade of “C” or better. Only offered in the fall semester. Must be taken concurrently with RESP 101. Required to receive a grade of “C” or better to register for spring semester. 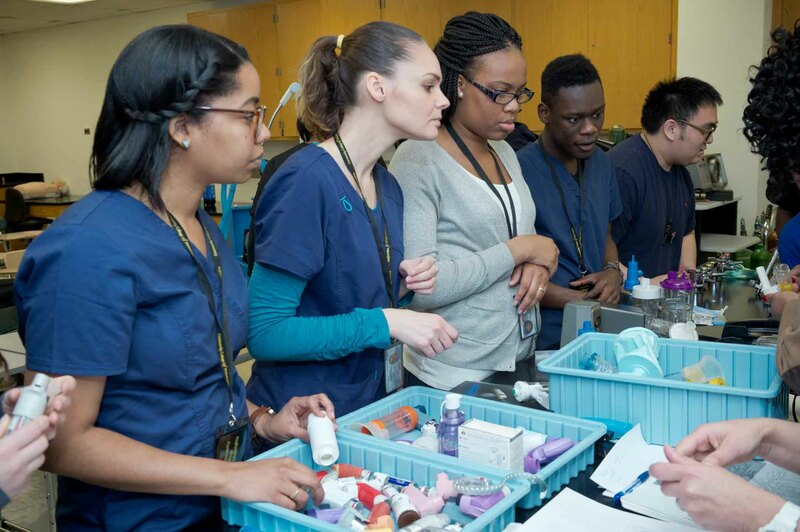 Students are assigned to perform clinical competency check-offs throughout the semester that monitors their success. RESP 101 - Respiratory Care Techniques 4 credits RESP 101 is a prerequisite for RESP 102. Must earn a grade of “C” or better. Only offered in the fall semester. Must be taken concurrently with RESP 100. Required to receive a grade of “C” or better to register for spring semester. ENGL 101 - English Composition I 3 credit Prerequisite for ENGL 102. This is a select program. Students must have completed a BIOL 106, BIOL 107, BIOL 109 or BIOL 123 course with a grade of “C” or better before beginning the program. A GPA of 3.0 or higher is required to continue in the program. RESP 102 - Respiratory Pharmacology, Modalities, and Airway Management 4 credits Prerequisite for RESP 103. Must earn a grade of “C” or better. Only offered in the spring semester. Prerequisites: RESP 100 and RESP 101 with grade of “C” or better. Required to receive a grade of “C” or better to register for summer semester. ENGL 102 - The Research Paper 3 credit Prerequisite of ENGL 101 with a grade of “C” or better. CHEM 101 - General Chemistry I 4 credits Must receive a grade of “C” or better. RESP 103 - Introduction to Cardiopulmonary Pathophysiology 3 credits Prerequisite for RESP 104. Must receive a grade of “C” or better. Only offered in the early summer session. Prerequisites: RESP 102 with grade of “C” or better. Required to receive a grade of “C” or better to register for late summer semester. RESP 104 - Clinical Practicum I 3 credits Prerequisite for RESP 210 and RESP 220. Must receive a grade of “C” or better. RESP 210 - Cardiopulmonary Pathophysiology I 4 credits Prerequisite for RESP 211 and RESP 221. Must receive a grade of “C” or better. RESP 220 - Advanced Respiratory Care 5 credits Must receive a grade of “C” or better. Prerequisites: RESP 104; co-requisite: RESP 210. Required to receive a grade of “C” or better to register for spring semester. BIOL 241 - Principles of Microbiology 4 credits Must earn a grade of “C” or better in the course. RESP 211 - Cardiopulmonary 4 credits Prerequisite for RESP 299. Must receive a grade of “C” or better. Prerequisite: RESP 210 with grade of “C” or better; co-requisite: RESP 221. RESP 221 - Adult Critical Care 6 credits Prerequisite for RESP 299. Must earn a grade of “C” or better in the course. Prerequisite: RESP 210 with grade of “C” or better; co-requisite: RESP 211. 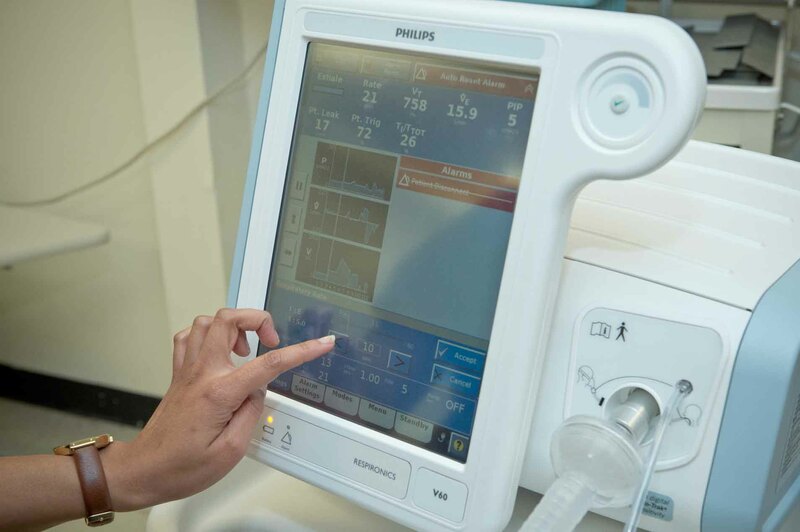 RESP 299 - : Advanced Respiratory Care Procedures III 3credits Must earn a grade of “C” or better. Only offered in early summer session. Assess, treat, and care for patients with breathing disorders. Assume primary responsibility for all respiratory care modalities, including the supervision of respiratory therapy technicians. Initiate and conduct therapeutic procedures. New workers generally start around $48,652. 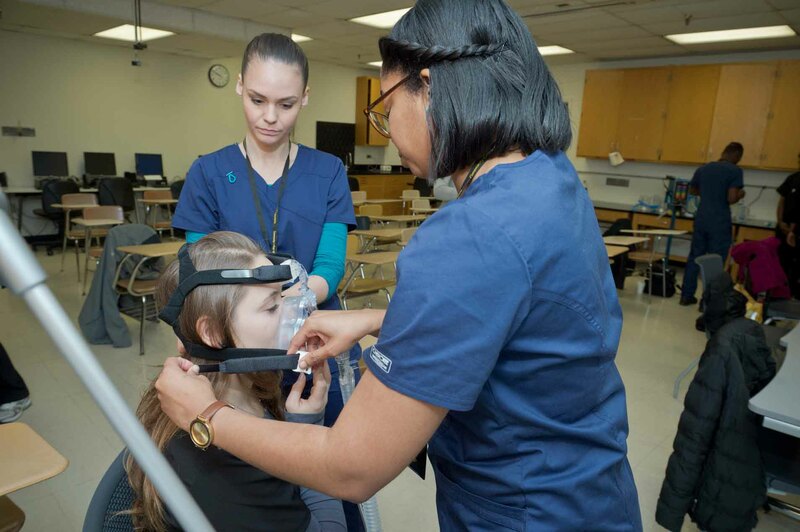 Normal pay for Respiratory Therapists is $65,310 per year, while highly experienced workers can earn as much as $80,479.